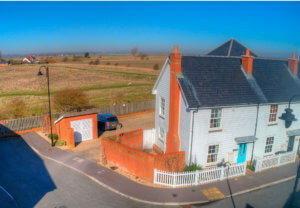 Booking a Camber Sands Airbnb? Perhaps you’re getting ready for a week of surf and sun on one of the UK’s most scenic beaches. Or maybe you’re preparing for an atmospheric off-season getaway full of quiet, sandy strolls and meals in historic Rye pubs. Whatever reason you have for visiting, have you considered what type of Airbnb might be best for you? 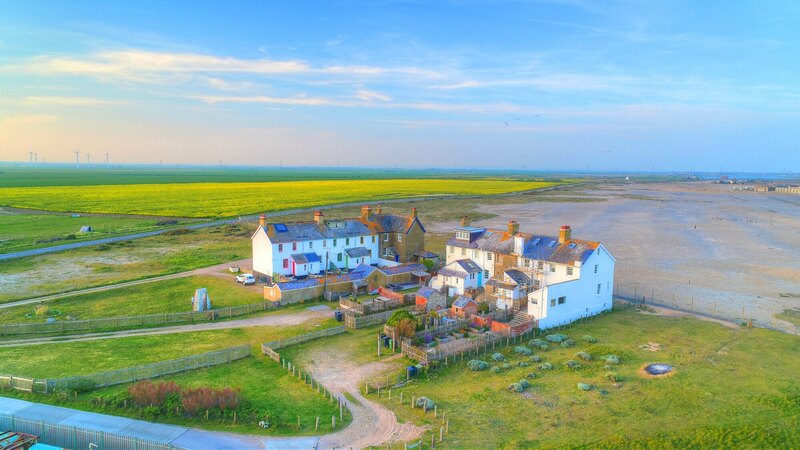 We’ve gathered some of our most unique Camber Sands Airbnbs—ones that are suited for everyone from couples to multigenerational families—to save you hours of surfing the web. These five cottages are chock full of charm and designed to delight every guest—even four-legged ones! Each of these homes is family-friendly, and with the exception of Seaglass, they’re all dog-friendly, too. So without further ado, let’s start planning your escape beside the sea. 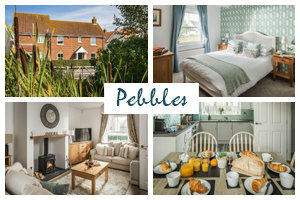 Discover a getaway steeped in history and tucked away on a stretch of shingle beach just outside of Camber’s main thoroughfare. 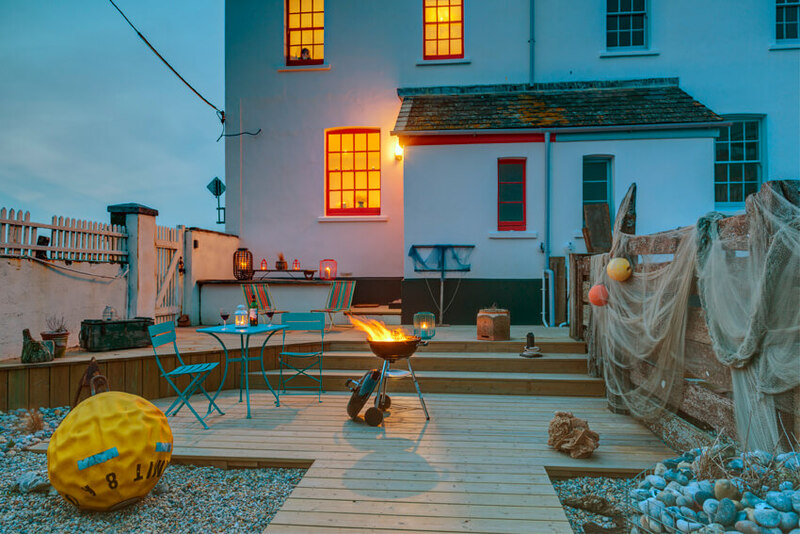 Coastguards Lookout is part of Coastguards Cottages, a group of delightfully unusual accommodations for adventurous souls and families. 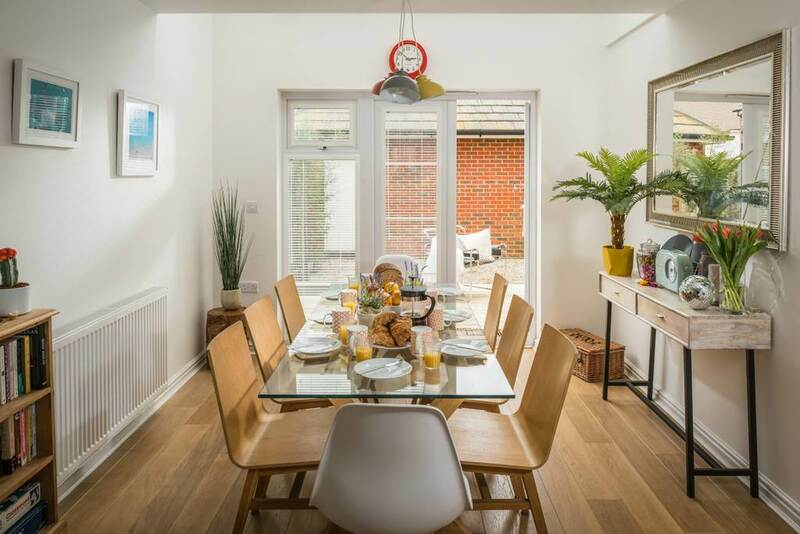 For those who want to feel as if they’ve escaped from it all, this is the Camber Sands Airbnb for you. 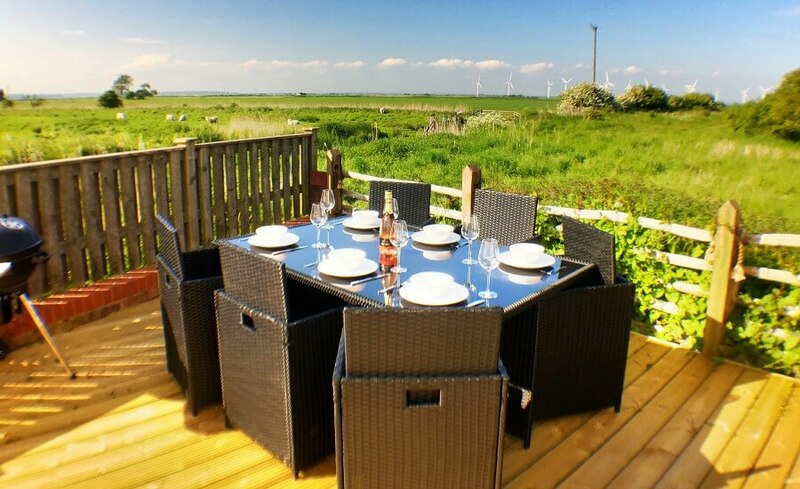 From the cosy comfort of your cottage, you can gaze out over miles of open marsh and fields. Awake each morning to waves rolling in on a rugged shoreline on the invasion coast, where smugglers once lugged their treasures ashore. And tuck in each night with your evening tea by the warm fireplace or around the garden fire pit. Even beachgoers with lofty tastes will feel right at home at The Beach Boutique, a two-bedroom cottage in the well-regarded White Sands community, just minutes from the beach. The coastal charm is tangible in every room: low-key living areas and restful bedrooms both are decorated with sea blues and nautical pinstripes. Here, you’ll never lack for contemporary comforts. From smart TVs to a PlayStation 4 to a state-of-the-art electric fireplace, this home has been equipped with all the latest tech for every member of the family. And when you need a minute away from the gizmos and gadgets, take a moment to smell the flowers in the fenced garden. The design is worthy of a magazine—picture pendant lighting dangling from driftwood beams. The aesthetic is beach chic refined—leather sofas and wooden furnishings perfectly complement seashell accents and beach-themed artwork. 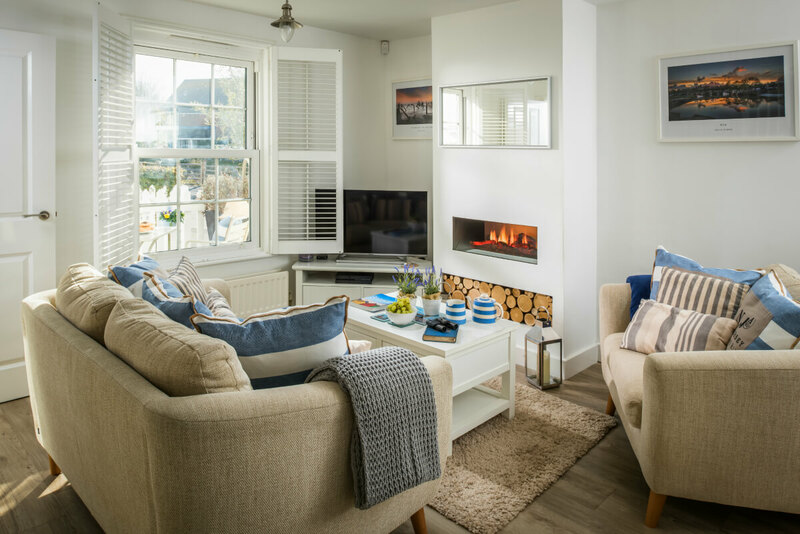 And the location is second to none–White Sands is beloved by vacationers and just a few minute’s walk to scenic Camber Sands beaches. Welcome to Seaglass, a sun-drenched cottage for six. Ideal for groups, this home offers plenty of spots for lounging, from a garden room to a decked garden with lounge to a chic and spacious living area. 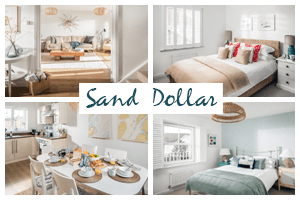 For those who want a little extra space to spend in the sun, you’ve found your Camber Sands Airbnb. Little Dippers is a picture perfect setting for joyful family holidays—the kinds with beachside strolls on sunny afternoons, seafood feasts right at home, and littles ones giggling long after lights out. With four bedrooms and sleeping space for up to ten, there’s room for multigenerational holidays, so bring a crowd! Pack your binoculars and spend mornings watching birds swoop across the salt marsh from the comfort of your fenced garden or balcony. Then wander just a few minutes to the beach, where low tide leaves kid-friendly tide pools for splashing and exploring. Once you wash off the sand, you’ll have plenty of space to gather and swap stories, including a long dining table and an outside lounge. All the charm of a fisherman’s cottage and all the luxury of a high-end getaway. That’s what you’ll find at this three-story weatherboarded home in White Sands, just minutes from the beach. 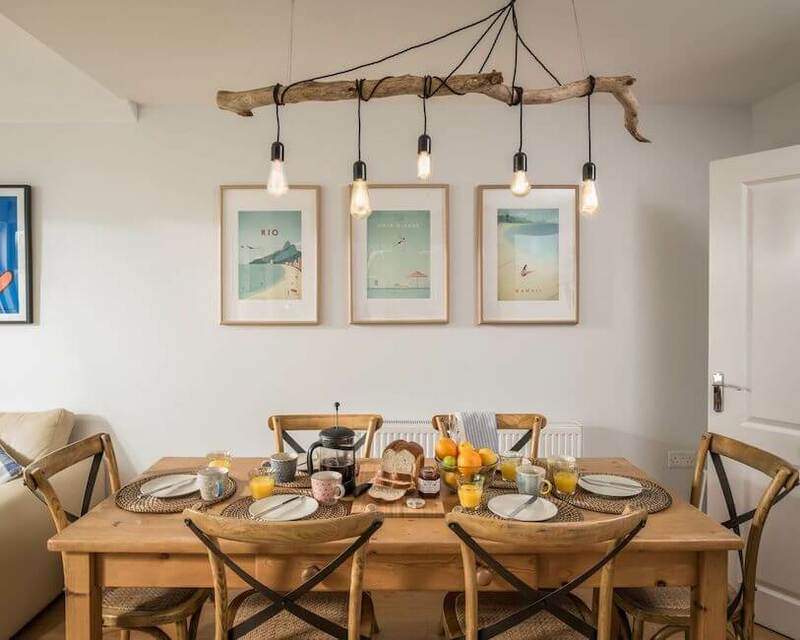 Modern contemporary furnishings and inspired design create a space that feels exclusive, and sleeping accommodations for eight make this Camber Sands Airbnb a favourite amongst groups of couples and friends and discerning families alike. Tranquil seashore pastels and natural accents are present wherever you go, from an inviting lounge with TV and sheepskin throws to dreamy bedrooms with luxury linens. End the evenings with a meal prepared in the gourmet kitchen, followed by stargazing in the garden whilst flames crackle in the fire pit. Beside the Sea Holidays is a family business: man, woman, boy, and dog. 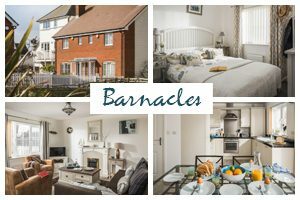 We live every day beside the sea and have hosted hundreds of guests in Camber Sands’ most charming, family-friendly, and unique cottages. View our hand-picked selection of cottages on Airbnb, or book directly on our website for more information and savings.